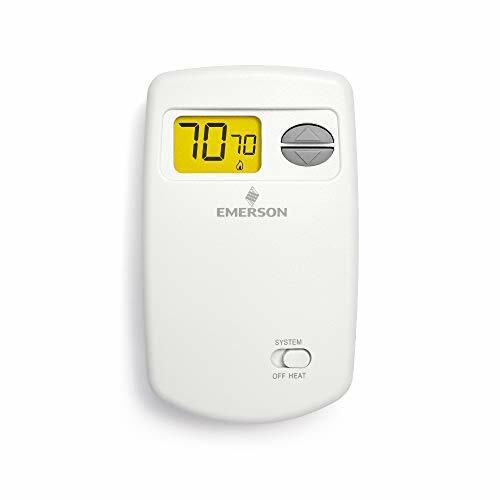 Emerson 70 Series Economy Single Stage (1H/0C) Non-Programmable Digital Thermostat, 24 Volts or Millivolt, System Switch-Heat, Off, Fan Switch-Auto, On, Profile-Vertical, Battery Powered, Range 45-90 F., Terminals-RH,W. Residential single stage, multi-stage and heat pump applications. 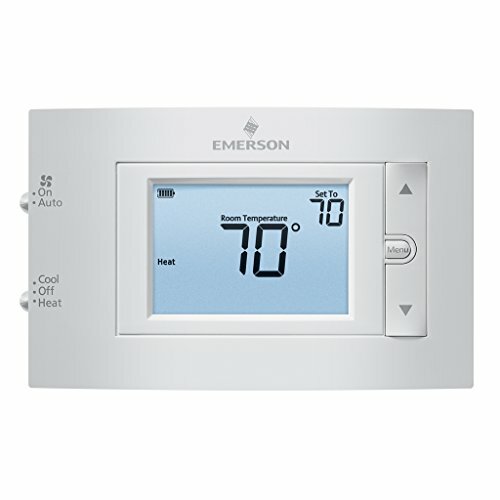 70 Series are the perfect upgrade from mechanical thermostats. 70 Series will cover up wall marks left behind by most mechanical thermostats without the need for an extra wall plate. 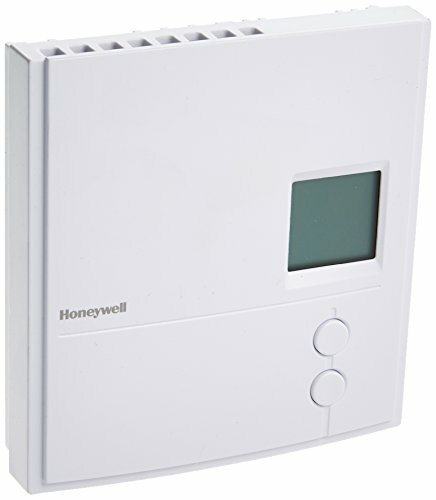 Honeywell s focuspro 5000 digital thermostat offers the perfect blend of features, performance, energy savings and value. With the largest backlit screen in its class, the focuspro 5000 prominently displays both room and set temperature. Application: up to 1 heat/1 cool conventional systems and heat pumps with no auxiliary heat dimensions: 3-7/16 inch h x 4-1/2 inch W x 1-5/16 inch D horizontal mounting. 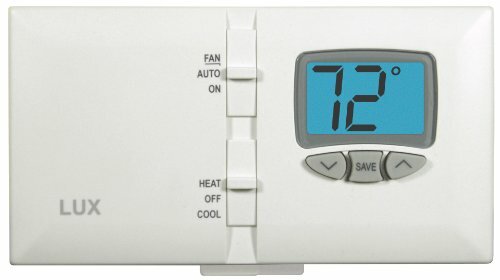 This vertical 1 heat/1 cool HONEYWELL thermostat is made to work with conventional units and heat pumps with no auxiliary heat. 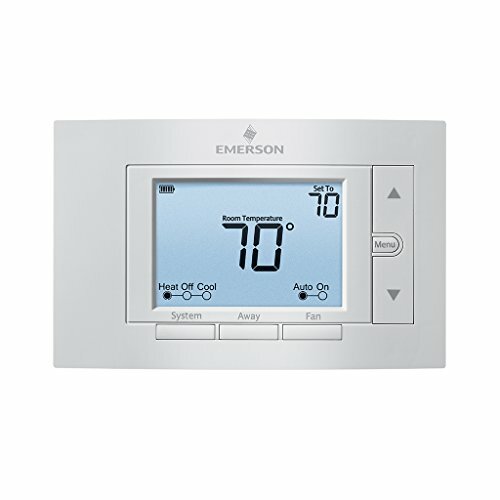 It s a builder-grade, dual-powered thermostat with adaptive intelligence recovery. PRO1 specializes in the design and manufacturing of professional grade products that improve the comfort of a home and simplify the installation. All of our products are designed to accommodate the performance and reliability demands of professional heating and cooling technicians. Heating and cooling accounts for almost half of our annual home energy consumption. You can personally reduce nearly 2,000 pounds of carbon emissions annually with a few simple adjustments. The American Council for an Energy Efficient Economy has more tips for saving energy on heating and cooling. Battery powered or hardwired, Easy access battery compartment. 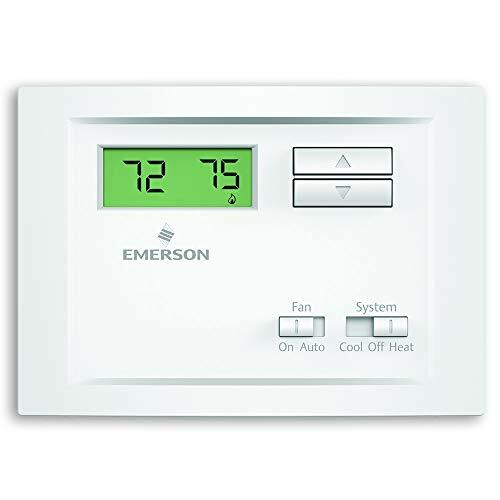 The Emerson NP110 single-stage, non-programmable thermostat is compatible with single stage heating, cooling and heat pump (without aux) systems. 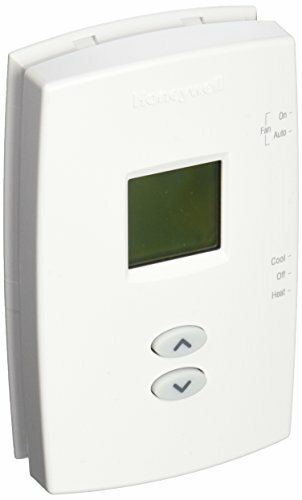 This thermostat features backlit display and precise temperature control of plus/minus 1 F. *Not compatible with electric baseboard heat and some other systems. Emerson 4.5 in. Display, Single Stage (1H/1C). 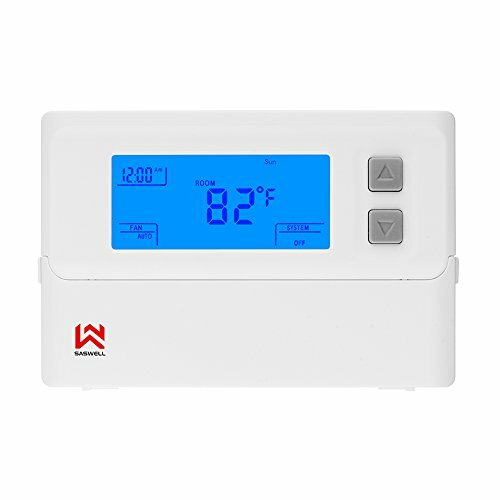 Non-Programmable Digital Thermostat, Backlit Display, 24-Volt or Millivolt, System Switch-Heat, Off, Cool, Fan Switch-Auto, On, Keypad Lockout, Temperature Limits, Profile-Horizontal, Dual Power: Hardwire and/or Battery, Range 45-99 F. Terminals-RH,RC,C,W,Y,G,O/B. You re a busy person with numerous devices to remember how to use. 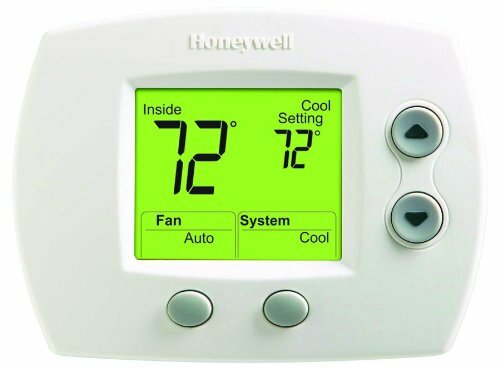 But with its familiar Honeywell Round design and enlarged scale making it easy to see, the CT87 Round Non-Programmable Thermostat is not one of them. 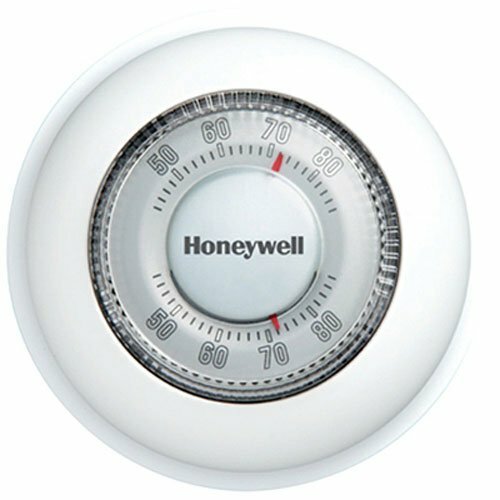 It s the world s most popular thermostat design and will fit perfectly in your lifestyle and your home. Hunter's Just Right Digital is an ideal solution for simplicity and digital accuracy. 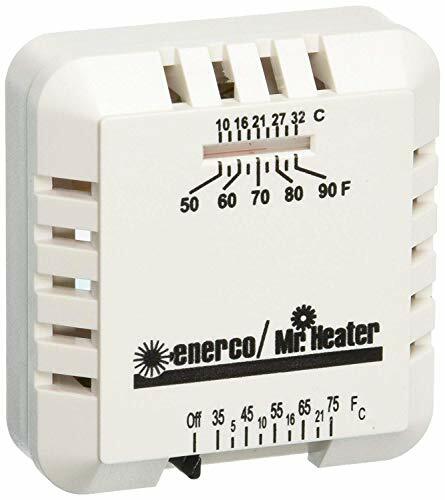 With no programming required as well as a filter and battery monitor, it's a top choice for many homeowners who want the ease of use of a quality thermostat. 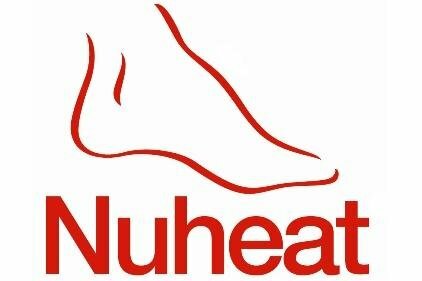 The Nuheat Element thermostat is a non-programmable thermostat for simple "up" or "down" temperature control of any electric floor heating system Flooring-Suitable for tile and stone with a temperature limiting (82 F) feature for laminate and engineered wood floors. SIMPLICITY - Basic up/down controls allow you to set the floor temperature. WORKS WITH MULTIPLE FLOOR TYPES - Suitable to control floor heating for tile and stone floors with temperature limiting feature for laminate and engineered wood floors. MONITOR ENERGY CONSUMPTION - You can view energy usage of your floor heating system for the last seven days. CLOCK AND BLACKLIGHT FEATURES - Basic interface providing time and current temperature readouts. BUILT-IN CLASS A GFCI - The GFCI (Ground Fault Circuit Interrupter) protects against risks of electrocution caused by a current leakage. 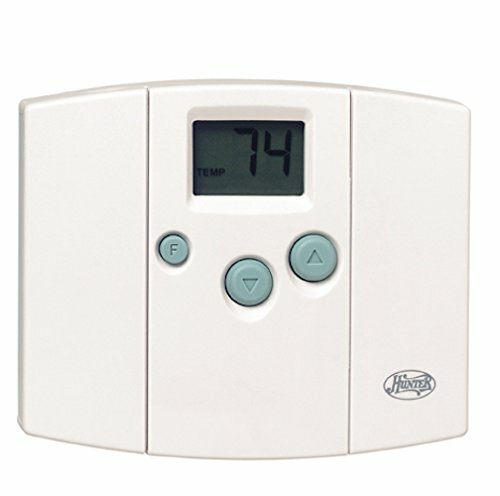 A Lux Non-Programmable Digital Thermostat gives you precise control you re your home's heating and cooling system. This simple wall unit boasts a big, easy-to-read digital display and simple controls for temperature and fan. Dimensions: 10.5W x 1.25D x 8H in.. Electronic programmable heating and cooling. Use with single-stage HVAC system. Easy-to-read backlit display with simple controls. Adjustable swing for better comfort control. 3-year limited included. 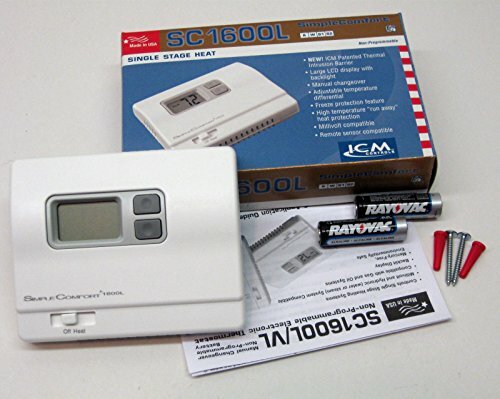 Simple Comfort non-programmable heat only thermostat with backlit display, battery powered, (no fan output). Emerson 5 in. Display, Single Stage, Multi-Stage (2H/2C) or Heat Pump (2H/2C) With Dual Fuel Option. 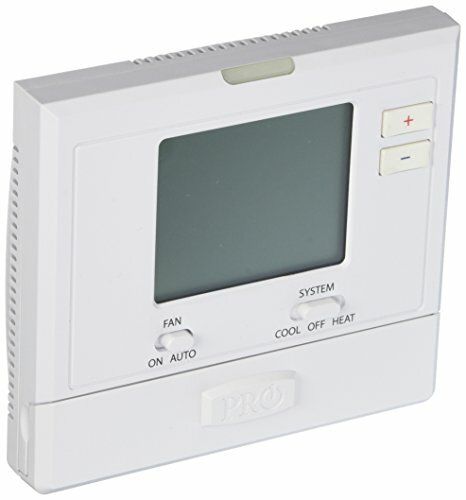 Non-Programmable Digital Thermostat With Customizable "Away" Button; Backlit Display, 24-Volt Or Millivolt, System Switch-Heat, Off, Cool, Auto hangover, Aux/Emer, Fan Switch-Auto, On, Keypad Lockout, Temperature Limits, Profile-Horizontal, Dual Power: Hardwire And/or Battery, Range 45-99 F. Terminals- RH,RC,C,W/E,W2,Y,Y2,G,O/B/6,L. *Not compatible with electric baseboard heat and some other systems. 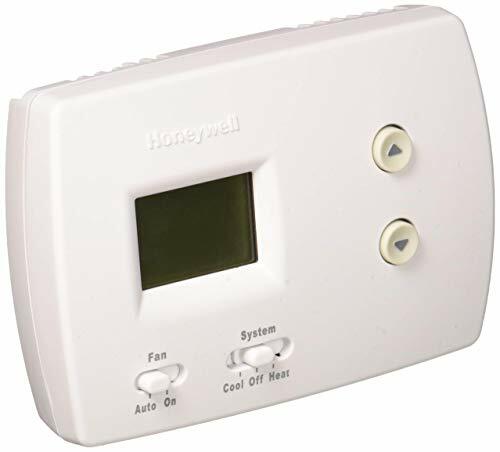 Honeywell RLV3100A1017 Digital Non-Programmable Thermostat for Electric Baseboard Heating - now with backlit screen. Easy to use and install. TRIAC silent switching for accurate temperature control of +/-0.5 degree Fahrenheit. 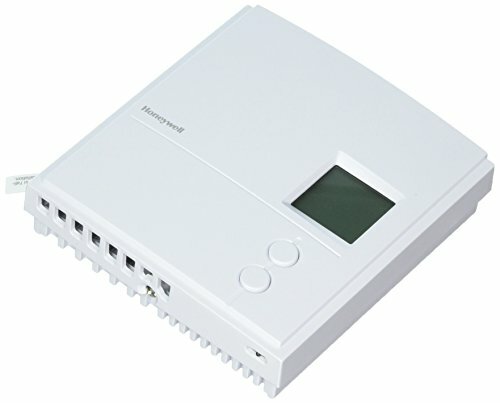 High-capacity electronic thermostat (up to 3000W @ 240V). Compatible with electric baseboards (120-240V), convectors and radiant ceilings. 2-Wire installation. 2 Heat/1 Cool Conventional and Heat Pump,Accurate temperature control of +/-1-Degree F for consistent comfort,Air Filter change reminder and Low Battery Indicator available. Large LCD display with backlight,easy to read in various lighting conditions,OPTIONAL 2 AAA Batteries provide continuous temperature display during power loss. Make comfortable temperatures to reduce energy usage,savings on annual heating and cooling costs. 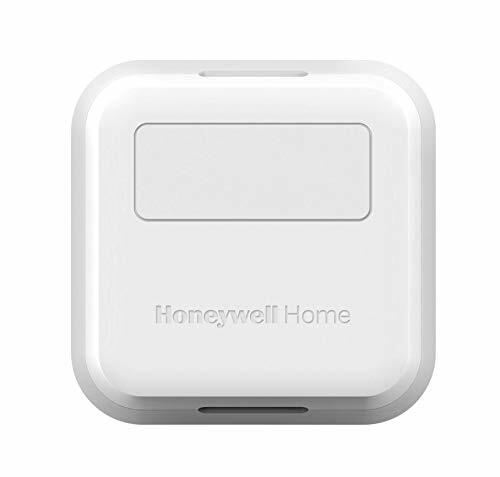 Honeywell thermostat, non-programmable, baseboard, -4 to 120 deg F, 1 deg F, 120/240 V, 60 hz, 5 in overall length, 1.2 in overall width, 4.8 in overall depth, UL listed, for electric baseboard heating, convectors, radiant ceilings.